Reese, a third year GWEer, in the 6th grade at Acequia Madre Elementary school led the speakers at the Rally and the Hearing against the proposed changes to science texts. The New York Times covered it and tells you want happened next ……..!!!! 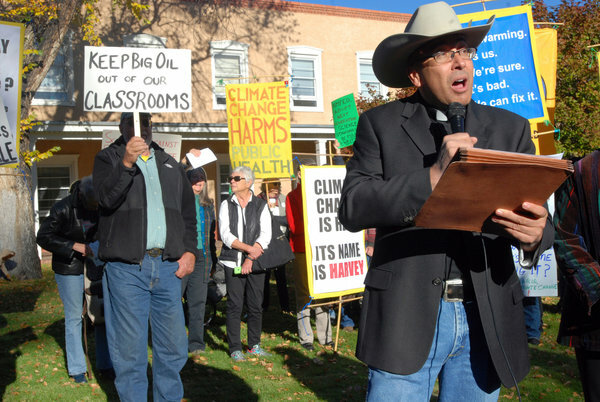 A Roman Catholic pastor, Vincent Paul Chavez, right, protested proposed New Mexico science standards on behalf of the Santa Fe Archdiocese outside a public hearing in Santa Fe on Monday. 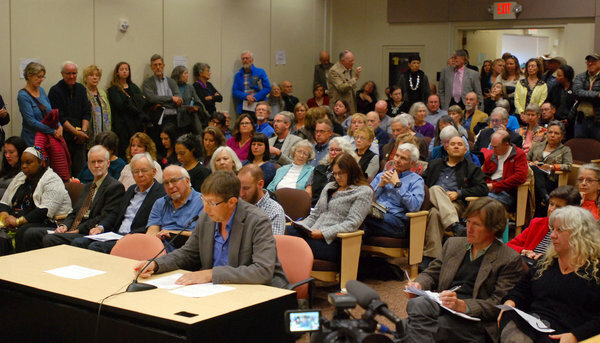 Residents concerned about the proposed standards gathered at a public hearing in Santa Fe on Monday.